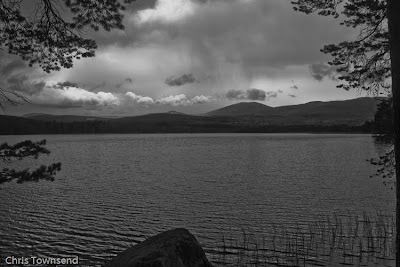 I still maintain that walks like the one you did, down through the forest to to Loch Mallachie, represent a better outdoor experience for visitors to the area than any ride on the funicular will ever give them. Just my view; I know others disagree. ive been lucky enough to see an osprey from about 30ft on the shore of rutland water, he/she must have had chicks thou because the bird looked very tired and bedraggled. Blueberry bushes? Have you been in America again? I enjoy your bog though! No, but I have been reading about US flora for an upcoming walk. I did of course mean blaeberries. It is certainly good to see the ospreys. 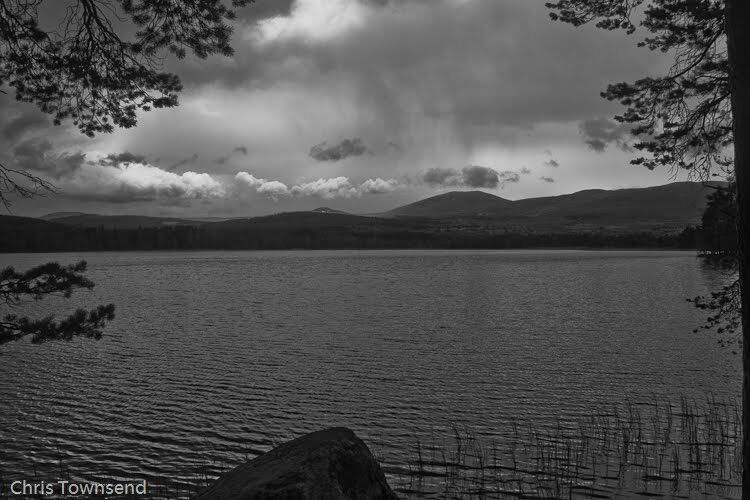 Yesterday (May 31) I was about "x" Km from Loch Garten watching Golden Eagle (I'm not, for obvious reasons going to say exactly where on the internet). The eagle is on the nest but it is not known whether she has laid yet or if she has whether the egg will be viable as she is an old bird! It was a stunningly beautiful day and I could see a fresh dusting on Cairngorm. On my walk I had lunch by a loch and the wind dropped and there was a fall of spinners and the brownies were rising throughout the loch, feasting on the bounty. Later, as the heat from the sun developed lovely little clouds developed and I saw an eagle thermalling. This place is very special to me as I seldom see anyone - eagles about 25% of the time and caper and black grouse on the way in and out about half the time. We are so fortunate us who live up here that we have wonderful wild places that we can visit at virtually anytime and take great delight in sitting and watching nature at its best.